What happens if the Industrial Conservation Initiative (ICI) goes away? Are you ready for Energy Policy Changes in Ontario? The Industrial Conservation Initiative (ICI) is a program in which large industrial users of electricity could reduce their costs by lowering their load during Ontario’s peak demand hours. This benefits the electricity system by shaving the highest peaks. In 2018, the ICI was expanded by substantially reducing the size threshold for eligibility, allowing many more facilities the opportunity to participate. 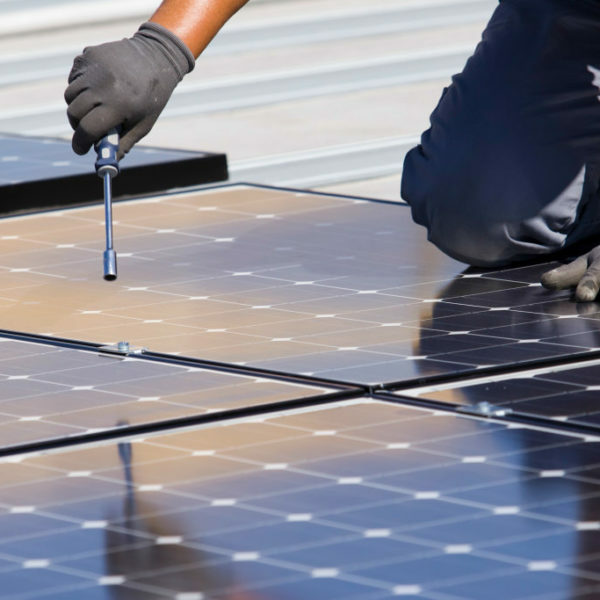 Some companies made capital decisions to provide their facilities with the flexibility to shave their peaks, with costs to be recouped in future electricity savings under this program. The current government has launched a review of industrial electricity rates as stated in Ontario’s Plan for the People. The benefit the ICI provides for participants is a change in how they are assessed Global Adjustment (GA). GA is part of the cost of electricity and is usually charged on an energy used basis. Under the ICI, participants were instead charged GA based on their share of load only during Ontario’s five highest demand hours. Thus if a facility could lower it’s demand to zero during these hours, it would be assessed zero in GA Charges. The GA does vary in amount from month to month, but in the past few years it has accounted for around 80% of the energy costs of electricity, so these savings could be very substantial. One of the drawbacks of the ICI program is the delay in getting benefits. 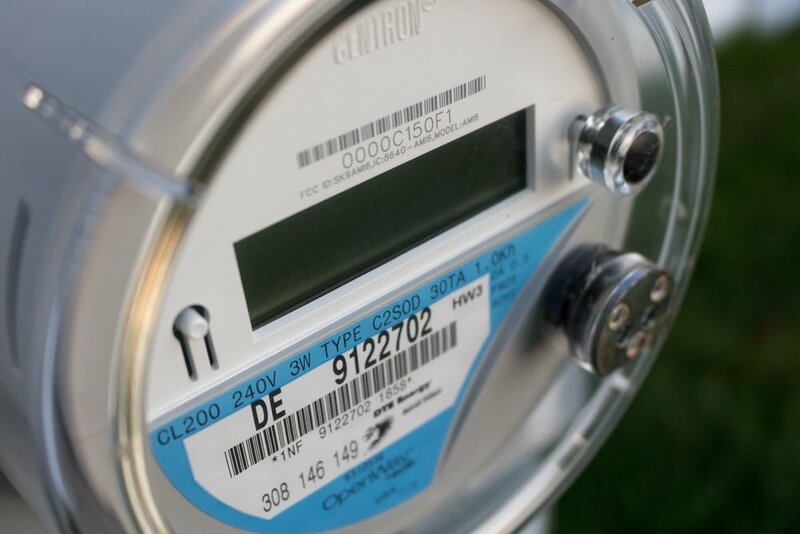 The GA charges under ICI are based on your peak demand factor from the previous year. Facilities which fully engaged with the ICI and made capital investments in order to reduce their utility costs had to do so for longer term benefits. Changes to the way industrial customers are charged for electricity therefore poses a real risk to these longer term savings. One approach companies used for the ICI is installing battery energy storage systems. This application is well suited to batteries, as it requires only a few hours of storage – a type of application where lithium-ion batteries deliver their best bang for the buck. With the recent price decline for stationary battery systems and the opening of the ICI to a larger pool of eligible participants, battery systems for “GA busting” became financially viable for many facilities. Unfortunately, those business cases are now at risk due to the potential for changes to industrial rates. Mitigating this degree of policy risk is very difficult as the specifics for future energy policies, or even the timeline for when those policies will take effect, is mostly unknown. The IESO has been working to integrate storage into the grid with multiple procurement’s for energy storage facilities. Unfortunately, energy storage opportunities with the IESO have generally been for standalone “front of the meter” type facilities. The exception to this case is the demand response (DR) auction. However, DR suppliers need to be qualified and this will be difficult for most individual businesses, especially those who engaged in ICI due to the lowering of the size threshold. DR however does allow for aggregators, so there may be a solution provider who can enroll your asset into their DR fleet and provide you an avenue to get those revenues. The ICI program has been providing the IESO with substantial peak shaving, which has benefits to the grid. Eliminating the ICI or changing industrial rates in a way to make the ICI irrelevant could result in significant increases in peak demand, which would be costly to address. The latest IESO Ontario Demand Forecast estimates the ICI as providing a reduction of 1,450 MW – 1.5 times the capacity that would have been provided by the cancelled Oakville gas plant. Changes which threaten the ICI will have costs and impacts not only for participants, but for the grid as a whole. However, as information regarding the industrial rate review is limited, it’s not clear how these impacts will be considered. Perhaps changes to the industrial electricity rates provide enhanced value for peak shaving or possibly a temporary program may be implemented to transition current ICI participants over to the new rate regime. It is not clear at this time what direction the rate review is headed, but it is clear that ICI participants are providing value and losing that benefit will be costly to the ratepayer. “GA busters” are by necessity “behind the meter” facilities. The main value streams other than GA busting for behind the meter energy storage are demand charge reduction, energy arbitrage, and resilience. With the possible exception of resilience, these streams are much less valuable than what the ICI can provide. Even with the case of resilience, that benefit is currently being enjoyed by ICI participants, so this value cannot replace the loss of the ICI. Demand charge reduction and energy arbitrage are also existing benefits for ICI participants. Thus existing value streams have very limited ability to “step up” to mitigate any loss of savings should the ICI program go away, or be substantially changed. There is potential for new value streams in providing resilience. The Made-in-Ontario Environment Plan targets resilience and climate change adaptation as priorities for the province. It requires municipalities to supplement disaster response action plans. The ICI program provides Ontario’s electricity grid and participants with a great deal of benefit, but the future is uncertain. The Industrial Rate Review poses the potential to severely impact the business cases for “GA busting” projects. However, losing the benefits provided by the ICI can be quite costly to the system and the ratepayer; and any changes to industrial rates should bear those impacts in mind. In the longer term, changes to how resilience is valued, and how electricity distribution operates, should provide alternate sources of revenue for these types of facilities. However, those changes are uncertain at this time, and will take much longer to implement than changes to industrial rates. This leaves a potential gap, both in the value and the timing of these alternate sources of revenue. As a result of this gap, facilities already invested in the ICI program should be reviewing their business models and considering how they can respond to various different Industrial Rate Review outcomes. Those engaged with third parties delivering GA busting as a service should have certainty of how their Service Agreements have allocated these policy risks. Parties who are considering getting in to the ICI program need to understand the context of potential changes to the system in order to make informed decisions. Regardless of your circumstance, a deep understanding of the implications of the Industrial Rate Review is important for any ICI-eligible facility. Ortech is assisting customers in becoming better prepared for the changes that may come and will continue to monitor policy changes as well as seek to assist our customers with implementation opportunities. Encourage odour complainants to notify the plant as soon as possible after an odour episode and fill out a standard questionnaire with details about the odour event such as date, time, meteorological conditions, odour frequency, odour intensity and the character of the odour. 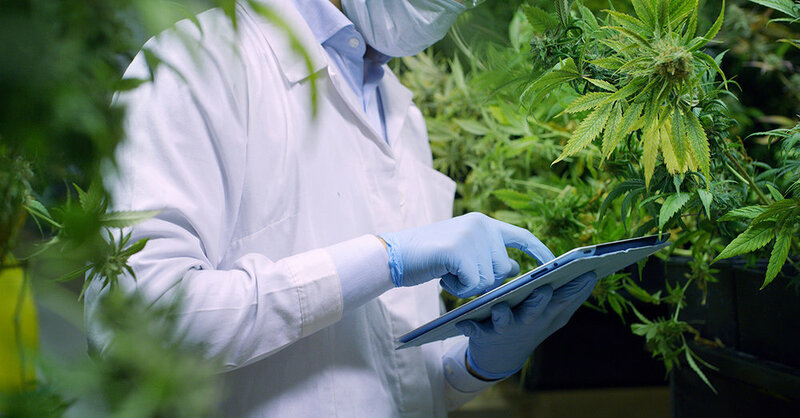 Verify that the complaint is genuine or appears to be real and that it originates from the plant by noting the wind direction at the time of the complaint and visit the site of the complaint if the odour persists. If possible, correlate the odour complaints with specific activities at the plant which may have caused the complaint, including continuous activities at the facility and short-term activities such as loading a truck. Conduct periodic odour surveys in the plant and at areas surrounding the plant, with emphasis on sensitive odour receptors such as residences, schools and other places frequently visited by the public, to obtain data which will complement the complaint data. use the dispersion modelling to rank the potential sources and develop a plan to reduce odour emissions at the sources, perhaps starting with the most significant odour emission sources. Repeat the odour emission survey and atmospheric dispersion modelling to assess the effects of any new odour reduction efforts at the plant, and consult with the complainants to determine if the reduction in odour concentration at the receptors is sufficient. Develop an odour management plan for the plant and protocols for dealing with odour complaints. Hold public meetings to discuss the details of the plan and any progress in implementing the plan. From our Sister Division: Efficiency Engineering: With new more stringent limits in effect for chromium VI, manganese and nickel, it is not uncommon for metal processing facilities to face compliance issues when trying to obtain an Environmental Compliance Approval or EASR Approval. The Ultimate Guide to Managing Odour Complaints! You receive an email or a phone call from an irate neighbour complaining about an odour potentially from your facility, What do you do? ORTECH has a structured approach to cost effectively manage the entire situation. Did anything unusual happen that might releae an odour at the time of the complaint (Poll your employees)? Be calm and professional in all internal and external communications. The complainant will appreciate the behaviour and act accordingly. Communicate with the complainant and acknowledge their concerns. Agree to look into the situation but do not make any commitments until you know your plant is responsible. Provide all the information you have gathered to an odour consultant. Be honest and complete. If the situation is your fault, there are a number of easy to implement solutions that can mitigate an odour issue. Your consultant should perform a site visit along with you. You should visit the location of the complaint and the last known location of the expected source(s) of odour. Some odours may linger which might present an opportunity to spot sample or setup odour sampling equipment that can collects samples over a period of time. It is vital to determine if you were capable of causing the odour at the location that generated the complaint. In some cases, the wind was blowing in the wrong direction or it was just physically impossible for your facility to release an odour and have it migrate to the location of the complaint. A dispersion modeling analysis is a valuable tool for evaluating these type of situations. A good odour consultant will have this ability. A detailed odour assessment report is an excellent way to back up your case to regulators or municipal bylaw officers or in the worst case, a court of law. If practical considering the frequency and duration of the operation of the odourous source(s), your consultant can collect and analyze sample for content. A lot of odours have known substances with odourous properties such as sulphur compounds or ammonia. Analysis for known substances may help to confirm whether or not your operations are responsible. In summary, if you have an odour complaint, do not panic. Remain calm, ask questions, gather information and contact an odour professional that can assist you with solutions or building a case to defend your company against regulatory or legal action. Has Your Facility Recently Been Inspected by the Ministry of Environment, Conservation and Parks ? A common result of an Ministry of Environment, Conservation and Parks (“MECP”), formerly Ministry of Environment and Climate Change (“MOECC”) inspection for a small business is a finding that the facility is in administrative non-compliance because they are lacking the necessary environmental permits, such as an Environmental Compliance Approval ("ECA") or an Environmental Sector and Activity Registry ("EASR") registration. In fact, it has been estimated that 40% of facilities in Ontario, mostly small businesses, do not have the required permits. If your facility has recently been required to submit an ECA application or to register an activity on the EASR as a result of an MOE inspection, it is important to take quick action to ensure that compliance dates are met. As a leading environmental consulting firm with over 50 years of experience, ORTECH’s qualified consultants can help your facility tackle these requirements in a timely, effective, and cost-efficient manner. 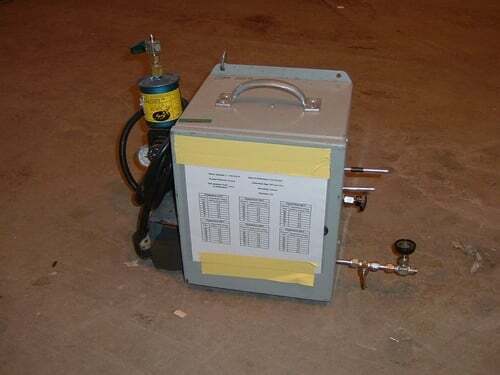 Register an activity (such as a heating system) on the EASR. Having ORTECH on your side will allow your facility to navigate the bureaucracy of permit applications as quickly and painless as possible, avoiding unnecessary frustration. Let our experience work for you. By Paul Ghezzi, CEO, Kontrol Energy. The parent company of ORTECH Consulting Inc.
As you may be aware the new Premier of Ontario, Doug Ford, has followed through on his pledge to end Cap and Trade in Ontario. The Cap and Trade program in Ontario was essentially a defacto Greenhouse Gas (GHG) emission tax on large emitters which was delivering approximately $3 Billion to the Ontario Government and being redistributed through various incentive programs. There is no adverse impact to Kontrol with the end of the Cap and Trade program as we do not directly participate in this sector of the emission and carbon markets. Through our various operating divisions we do supply compliance services in relation to GHG emissions but this is different than Cap and Trade which is primarily focused on placing a monetary value on emissions and taxing large emitters for excess. While we do believe there should be a price placed on the impact of emitting GHG into the atmosphere we are more aligned with incentives to drive clean energy adoption and reduction of waste in the consumption of energy. 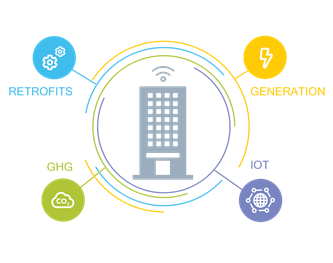 Kontrol’s growth is being driven by the rising cost of energy, the demand for technology to better manage energy consumption and the regulatory compliance around properly monitoring and measuring GHG emissions. In our defined addressable markets, North American buildings account for up to $50 Billion in energy waste and up to 40% in GHG emissions. Combined, these markets represent annually a $60 Billion plus market opportunity for Kontrol to consolidate existing vertical competitors and to grow organically. Kontrol Energy Corp. (CSE:KNR) (“Kontrol” or, the “Company”) delivers integrated energy efficiency solutions to a large portfolio of blue chip customers across Canada and the United States. A great way to gain competitive advantage or close more sales is to provide a complete solution for your clients. Part of the solution that is often overlooked, in Ontario, is air quality permitting. Air Quality permits can cause additional fees for your client and strain your relationship with your clients, if not included. ORTECH has seen this time and time again when clients call us and suggest their solution provider failed to educate them on air quality permitting. With all the regulations in Ontario, it is tough to keep up. If the equipment you are selling is triggering an Ontario Environmental Approval, this document is for you. If you are not sure, just keep reading, the regulations have changed. This article is geared towards Original Equipment Manufacturers (“OEM”), service providers or installers of equipment to industry or commercial operations in Ontario. For air quality permits in Ontario, any time a business installs new equipment, or upgrades existing equipment, that project might trigger a need for a new or amended air quality permit. On the basic level, your clients will need a permit if their equipment, new or old, emits emissions, noise, or odour into the environment. For your clients, this is what you need to know. Ministry of Environment, Conservation and Parks (“MECP”), formerly Ministry of Environment and Climate Change (“MOECC”) has inspectors that will blitz an industry, so there is always a threat of getting a compliance letter and having to move fast to comply with an inspectors request. This can mean costs for your clients that they did not expect. It will take their eye off of their core business and for the most part, will be looking to you, the OEM or installer, for answers. As a vendor selling equipment, it is a good idea to review your offerings and see if they are potential triggers for a new air quality permit or amending of an existing permit. This is where an Air Quality Expert, like ORTECH, can assess your situation. An EASR is a virtually instantaneous approval with less ongoing annual requirements as compared to the traditional ECA. Let’s back up and define each compliance path, ECA and EASR. These hyperlinks will take you directly to the MECP website specific to each compliance path. Determining which compliance path is right for your clients is dependent on the complexity and uniqueness of the operation. 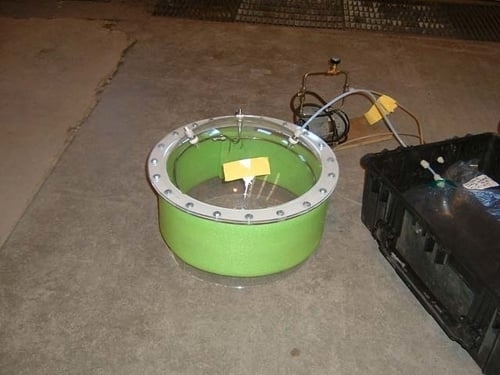 For more complicated operations, with higher potential for environmental impacts, an ECA is typically required, and the EASR is used for more common activities or operations with less potential impact. The following helps define these different levels of complexity outlined in the regulations. One of the fastest ways to determine your compliance path is to use the industry North American Industry Classification System ("NAICS") codes. The default MECP approach is that all activities and sectors go through the EASR process unless expressly excluded by the Regulation. 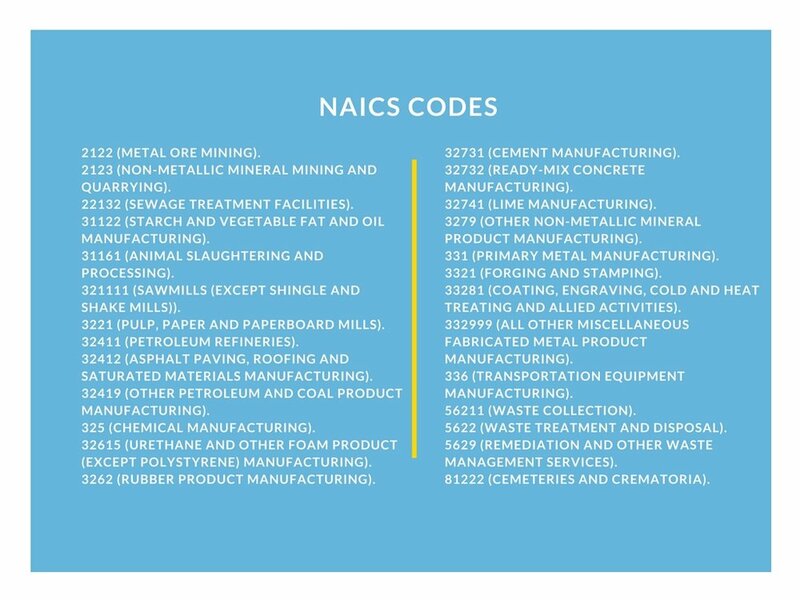 The following NAICS codes are specifically excluded from the EASR process. Does Permitting apply to my equipment? Now, ORTECH has been in the business of Air Quality consulting for over 40 years, so it's not realistic for an OEM or installer to be expected to know all the intricacies of an ever-changing regulatory process. This is where the next graphic should help. Also, you will have the option to call us and discuss your equipment compliance requirements below. This graphic will help you if your equipment category is not there, please contact ORTECH. If your equipment is on the list above and it has been confirmed that your client will need an ECA or EASR, what can you do? Being proactive is one approach that will not only add value to your offering but also differentiate you from your competition. To add value, our suggestion is to get as much of the supporting documentation ready or prepared and provide it as part of your proposal package. This could be in the form of an Air Permit Package. Even though most permits are very site-specific regarding emissions or points of impingement (think: closest neighbours that will be affected by your emissions), you can still provide emission factors, odour units and noise levels. This information will help your client through the air quality permitting process. If you are interested in an assessment of your solutions or equipment, please contact us. Infographic: A Quick Guide to Managing Odour Complaints! Site Plan approval for a proposed development includes a host of studies and an environmental air quality study may be required. Is there a perceived air quality issue due to incompatible land use when the zoning is changed from industrial to residential? Is the proposed site in close proximity to an odorous facility such as a sewage treatment plant, a waste transfer station, a landfill, a fast food outlet or a farming operation? The prospect of construction of a large manufacturing complex, of large residential and retail development sites and of infrastructure projects such as roads, transit corridors, and waste handling facilities can give rise to environmental concerns. Nuisance dust, odours, noise and vibration are issues that may require resolution and mitigation. Rational and knowledgeable characterization of the perceived environmental issue is an important first step in addressing these concerns. Definitive, scientifically based, qualified expert opinion on the perceived issues can characterize and resolve the issues before they potentially escalate to an unwanted emotional political outcome. Air quality practitioners utilize established methods and tools to address and resolve these types of air quality issues. Air quality experts are knowledgeable in contaminant emissions, odours, dust, air dispersion modelling, impact assessment and the monitoring of these pollutants. These methods are applied to define the environmental issues and the findings are interpreted using published guidelines, such as the Ontario Ministry of the Environmental and Climate Change “D” Series Land Use Compatibility Guidelines, to come to a qualified conclusion, which may or may not require mitigation. ORTECH has the experience, qualifications and resources to assist developers, planners and construction and construction management groups in providing the air quality expertise and provide services to satisfy project schedules and plans. The 2017 calendar year is the first year of the phased expansion to the Government of Canada's Greenhouse Gas Reporting Program (GHGRP) for industrial facilities in Canada. Prior to the expansion, the GHGRP required reporting of basic information, such as emissions data only, and had a 50 kilotonnes (kt) threshold. For the link to the Environment and Climate Change Canada click here. The reporting threshold has been lowered to 10 kt. All facilities that emit 10 kt or more of GHGs in carbon dioxide equivalent units (CO2 eq) per year will be required to submit a report. All facilities engaged in carbon capture, transport and geological storage (CCTS), regardless of their annual GHG emissions, will be required to submit a report covering CCTS activities for 2017 and relevant years for the period 2014 to 2016. Expanded data and methodological requirements will apply to manufacturers of lime, cement, iron and steel, and aluminum; and to facilities engaged in CCTS. For those facilities subject to expanded federal requirements in the four sectors (cement, lime, iron & steel and aluminum), and who already report to provincial programs based on the WCI framework (British Columbia, Ontario and Quebec), will be given the option to complete the expanded GHGRP reporting, or alternatively, these facilities may submit their provincial GHG reportFootnote6 for compliance with the 2017 GHGRP requirements. Provisionally, facilities subject to the expanded federal requirements regarding CCTS and already reporting similar data to Alberta and Saskatchewan will be offered the option to submit their provincial report for compliance with these GHGRP requirements. Facilities in the remaining provinces will be required to complete the extended federal reporting, as their provincial reporting programs do not collect data that meet the expanded federal requirements. This includes facilities in Alberta and Saskatchewan above the 10kt threshold engaged in activities other than CCTS. In Phase II (date unknown), the petroleum refining and electricity generation sectors will be subject to expanded requirements and mandatory methods. Phase III will affect additional sectors, which are yet to be determined. Below is a workflow to determine if your facility needs to take any action or the appropriate course of action for Phase I (2017 data year). For the link to the Environment and Climate Change Canada click here. For any questions, please contact Giulia Celli at gcelli@ortech.ca or Ibrahim Syed at ISyed@ortech.ca .